Whenever there is a collision between a car and a pedestrian, the resulting injuries are often serious and even fatal. Car accidents involving pedestrians are often extremely dangerous. Whenever there is a collision between a car and a pedestrian, the resulting injuries are often serious and even fatal. Due to the fact that cars weigh a lot more and move much faster than humans, even a minor collision can cause permanent injuries if the pedestrian survives. Being hit by an automobile is a very traumatic experience. The confusion and uncertainty that surrounds such events can make the whole situation even more stressful. We will talk about the two common misconceptions about car accidents involving pedestrians. Unfortunately, even though the pedestrian suffers severe injuries in a collision while the driver of the car may be completely safe, the pedestrian may not get to share their side of the story. This happens because in most cases, the pedestrian is badly injured and disoriented after the car accident, and may not be able to give an account of the accident immediately. Police officers may talk to the driver at the scene, and may not even bother to travel to the hospital to get the pedestrian’s side of the story. So it is important not to assume that the police will always side with the pedestrian, even if he/she had no fault in what happened. However, this does not mean that the pedestrian can be held responsible for the accident. It does mean that pursuing a claim can become complicated. In some cases, the pedestrian may be held responsible for causing an accident, and in such situations, winning a personal injury claim may seem outright impossible, especially if you were ticketed for the accident. However, you should remember that just because you were ticketed, you do not lose your right to make an injury claim. There are many cases where police wrongly ticket pedestrians. Under Missouri law, those driving a motor vehicle have an inherent duty to drive safely and ensure the safety of others as far as possible. If you have suffered injuries as a result of the driver’s negligence, the driver may be held liable and made to pay the damages. If you have already been ticketed, the case would likely be much more complicated, but an experienced attorney may be able to assist you. 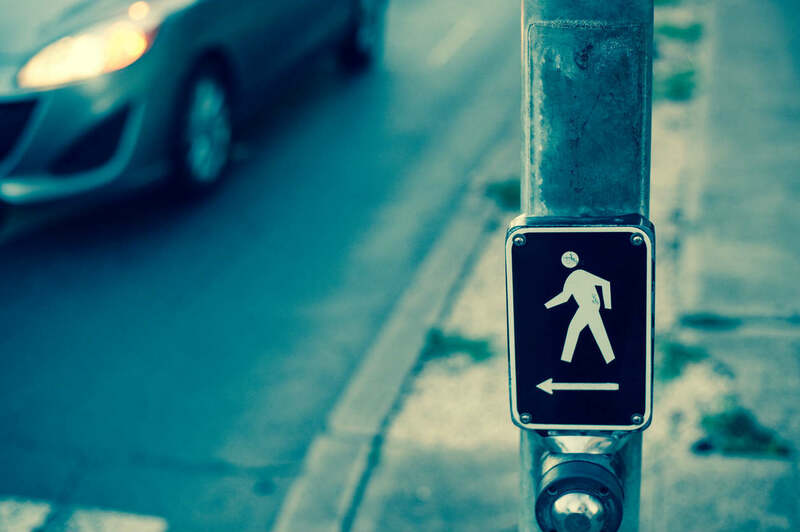 A pedestrian accident can leave to you in financial stress, and physical and emotional pain. If you have been injured by a negligent driver, you should immediately seek legal help from a competent and experienced St. Louis auto accident lawyer, who can ensure that your rights are protected, and that you receive the compensation you are legal entitled to for all your economic and non-economic (pain and suffering) losses. To request a free consultation with an experienced attorney at The Hoffmann Law Firm, L.L.C., call us 24/7 at (314) 361-4242.